Which kind of flooring to use for your home remodel is always a big question. If you have decided to install new carpet, you probably have some questions regarding how much you will need, how to choose which rooms should have carpet, and what your costs will be. At Kuhn Flooring, it is our goal to help you answer all those questions and more. 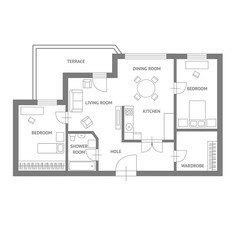 With So Many Rooms, How Do You Decide Which Ones Should Have Carpet? Before you can even begin to determine how much carpeting you need to complete your house; you must decide which rooms in your home are most suited for carpet. Honestly, carpeting creates an inviting atmosphere in most rooms. 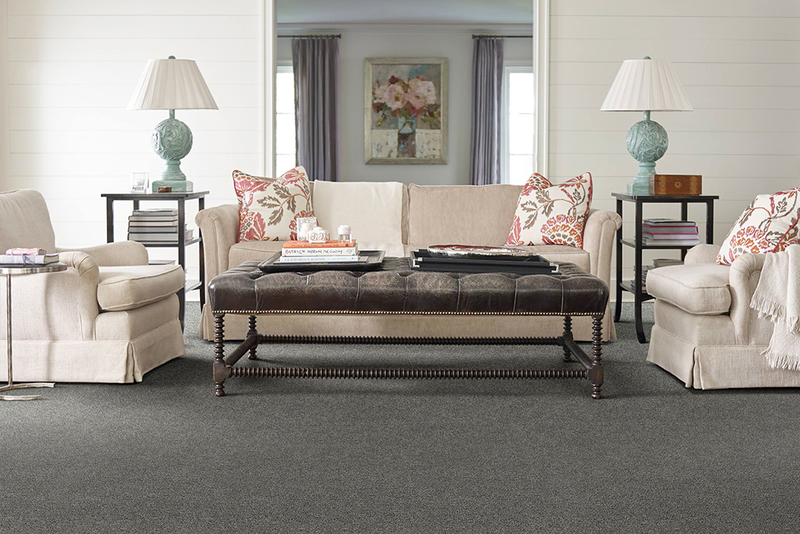 Having carpet in your family room or den makes the space feel warm and welcoming, inviting guests to slip out of their shoes and sink their feet into the soft carpet. Installing carpet in bedrooms insulates your feet from touching a cold floor first thing in the mornings and also reduces noise pollution that can creep into other rooms and disturb those who are sleeping or trying to concentrate on other tasks. Having non-slip flooring in hallways and other walk-ways is always beneficial and helps with safety by providing a little padding if someone should accidentally fall. The versatility and durability of carpeting make it a great fit for almost any room that needs a little color or a homey feeling. Kuhn Flooring has a design team that can help you decide which places in your home would be most benefited by adding carpeting. While many rooms can benefit from a little carpet, in some rooms, it is simply not a good idea. These places are typically high traffic areas or spaces that involve water. Here are a few of them. Often, you will find that most entryways are not carpeted. These are exceptionally high traffic areas, where people have just come in from outside and need to wipe their feet or adjust their shoes. Even the most durable, stain-resistant carpeting typically does not stand up to the wear and tear associated with installation in an entryway. Traditionally, most kitchens have hard-surfaced flooring to help with cleanliness. Most kitchens experience frequent spills, added heat, and moisture. Carpeting is hard to maintain in an environment where the sole purpose is cooking. 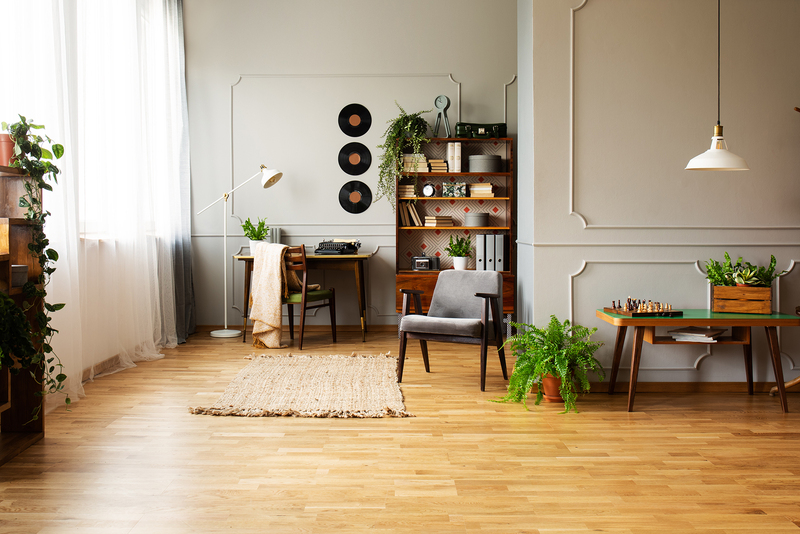 Kuhn Flooring can help you identify which rooms in your home would not benefit from the addition of carpeting as well as give you advice on other types of flooring, that would work better in those environments. Once you have established which rooms you will be adding carpet to and which you will not, you need to verify the rooms square footage. You can find this number by measuring the length of the room and the width of the room. You then multiply the length by the width to come up with the square footage of carpet needed for that room. If you are not confident in your math skills or have a room with a shape that is less than straightforward, you can contact one of our flooring experts who will be happy to help you figure out how much carpet you need. Carpet installation prices are not fixed and many factors affect what it will cost you. Here are a few elements that can help you identify how much you might need to spend to carpet your home. Pile refers to the length and thickness of a piece of carpeting. The cost of your carpet partially depends on the pile. Carpeting with a thicker pile typically costs more than carpeting with a short pile. Carpet comes in a wide range of fibers, including natural materials such as wool and synthetic materials like nylon. 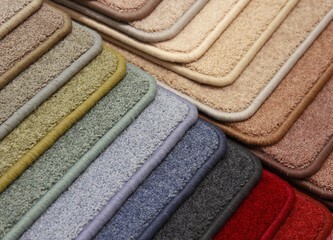 The cost of your new carpet will be driven in part by the material you choose. Typically, natural fibers cost more than synthetic ones. Plain designs or ordinary, neutral colors generally cost less than carpets with elaborate patterns. Additionally, if you choose a designer named carpet, over a generic brand, the designer carpet will cost you more. The cost of carpeting being put into your home is directly related to who you are buying the flooring from and who is installing it for you. At Kuhn Flooring, we pride ourselves in our work and try to help each customer find what they are looking for in a price range that is affordable. Here at Kuhn Flooring, we have an experienced team that specializes in the whole floor process. We can help you starting with the beginning ideas, moving through the design aspects, shopping for flooring, and until installation is complete. We pride ourselves in doing a job well, and our customers getting the flooring they want and need. You can find us on our website. Let us give you an estimate for getting your Coral Springs home set up with new carpeting, today.